iWindsurf Community :: View topic - Happy Beaufort Scale Day! Posted: Tue May 07, 2013 2:17 pm Post subject: Happy Beaufort Scale Day! Seriously. It is the man's birthday. From what I can tell, I was sailing in Force 8 (Fresh Gale 39-46mph) Saturday evening under Blunt Point. Not sure humans can really sail in "39-46" mph winds. I know for myself, with over 30 years short board experience, Baja to the Gorge, Texas and Hawaiin Islands, I'd need a 2.0 or smaller for that kind of breeze, at 150 lbs. At 24-33, I"m comfy on a 3.7 or twisty 4.0. My Tomales buds had 2.3's. Yogi, MikeWhite, and Boggy at 235lbs used a 2.9 in max winds a little down from that. My old bud Fat DaveGould, at 275 lbs, used a 3.8 in FlyingTigers 30-45mph....big catapults. Earlier we were sailing a 7, quite out of control on the 5.0 we started with during the rather pleasant 5. Hoping for a fresh breeze at SI this PM. I think a 3.0-3.5 might have been manageable out there. My 4.2 definitely was not. Had to just rag it out to stay upright. Amazing to be out in those conditions, though. Full on breaking waves and spindrift. 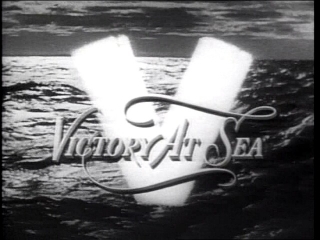 Victory at Sea! I have never claimed to be human, Beatriz. Beaufort Scale Day is not over until sunset. Force 5 at TI right now. It was full-on VAS Saturday at TI. On a 3.6 the smoother water in the flood out by Angel Isl., was manageable, but the gusts were not "comfy," and there was whole lot of heaping up of the angry sea. So, I'm going with "moderate gale, gusting to fresh gale" which is above blowing like snot and less than nuk'in, right? Radross, we did not hit Force 8 outside until ~1800, after you had left the building. You experienced Force 7, no doubt. I'm just saying. "Twigs and small branches broken. Difficult to Walk." I like that. But, technically, what is the difference between a "twig" and a "small branch"?